Cologne – Water is the source of all life. All the more important it is therefore for us to manage it responsibly, and that means in industrial production too. Nearly one-quarter of global water consumption is attributed to industrial production. The global volume of wastewater is accordingly high. When it comes to wastewater – the subject of this year's United Nations World Water Day on March 22 – the goal therefore is: to avoid and recycle instead of conventional disposal. LANXESS is leading the way in this field starting with its own production facilities. For example, the volume of process wastewater produced relative to product output has fallen by six percent Group-wide in the last five years. The “blue gold” is becoming ever more precious to mankind, because many people today have no access to clean drinking water. According to figures from the World Health Organization (WHO) and Unicef, some 1.8 billion people resort to polluted water to satisfy their thirst. Every year, nearly 850,000 people die as a result of drinking polluted water or poor hygiene conditions. Population growth, environmental pollution and climate change could greatly exacerbate this situation in the decades ahead. There is a great deal of potential for using process water sustainably and minimizing wastewater in industry. The chemical industry bears a particular responsibility for water because it can provide key solutions. With decades of experience in water treatment, innovative products and technologies, LANXESS is meeting these challenges head-on. Reverse osmosis and ion exchange in water treatment play a vital role in achieving these goals. 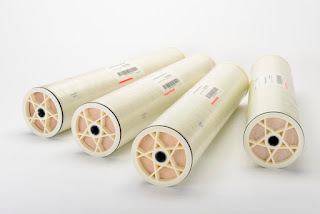 The market for reverse osmosis membrane elements is currently projected to grow at an above-average rate of 10 percent annually over the next three years. In the case of ion exchange resins, future growth is predicted to average four percent per year. 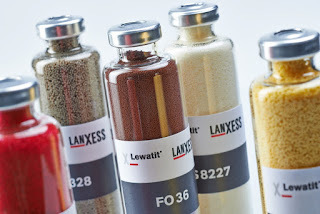 An efficient technology from LANXESS for treating water is the use of Lewatit ion exchange and specialty adsorber resins. Among other applications, ion exchange resins are used to remove pollutants, such as nickel, nitrate, perchlorate, borate and hydrocarbons, from drinking water. During the ion exchange process, contaminated water flows through a container filled with ion exchange resin. It filters the contaminants, binding the ions of the pollutants and replacing them with harmless ions. A variety of resins are used, depending on the pollutant. In the treatment of wastewater, the ion exchange resins remove heavy metals, such as mercury or cadmium. In addition, precious metals, such as copper or platinum, can be filtered out and then used for other purposes. Industrial applications include the treatment of water for industrial processes in power plants. These costly facilities need large volumes of cooling and process water, which have to be demineralized to protect the systems against limescale, for example. The microchip and pharmaceutical industries require water in extremely pure form. Lewatit is used in these industries to produce ultra-pure water, which is a vital manufacturing resource. The membrane elements in LANXESS’s Lewabrane line of products are spirally wound, thin-film, composite membranes. They filter out undesirable substances from water, such as salts, pesticides, herbicides, viruses, bacteria and particulates. The product line includes elements for all the main reverse osmosis applications, including desalinating seawater, brackish water and low-salinity water. Leading fields of application include the production and treatment of drinking water, but also the treatment of process water, other industrial water, and wastewater. Among the most important applications for reverse osmosis membranes are the treatment of process water for power plants and the generation of ultrapure water in the microelectronics sector. Another area of application for reverse osmosis membranes is the production of drinking water from both brackish water and seawater. This method is used on a large scale in cities and municipalities and on a small scale in restaurants, hotels and on cruise ships. The membranes lower the salt and particle content of the water and are often combined with ion exchange resins to form a highly efficient and very powerful demineralization system. Lewabrane-brand membrane elements are manufactured at a high-tech, fully automated production plant in Bitterfeld. The membrane chemistry depends on a strongly crosslinked polyamide layer that displays high resistance to chemical cleansers, higher rejection of complex salt mixtures and a low surface charge, which reduces the tendency toward fouling. Since their market introduction in 2012, tens of thousands of Lewabrane filter elements have been installed in more than 70 countries. Arsenic pollution is one of the most dangerous forms of drinking water contamination. You can't taste it, you can't smell it, but the toxic substance accumulates in the body. Some very high concentrations of arsenic occur in the groundwater in many regions of the United States, South America and Asia. Elevated arsenic levels are often found in Europe, too, for example in the United Kingdom. It is estimated that more than 100 million people worldwide drink water with an arsenic content higher than 50 micrograms per liter. Both the European Union and the United States have adopted the World Health Organization’s (WHO) recommended limit of 10 milligrams per liter of water in new legislation. Arsenic is a semi-metal that occurs in nature in the form of minerals. Under certain conditions, highly toxic arsenic compounds can be washed out of the stone and pass into groundwater. Numerous medical studies document the chronic illnesses suffered by people who drink water contaminated with arsenic for extended periods, including skin disorders and carcinomas. The hybrid adsorber Lewatit FO 36 and the iron oxide adsorber Bayoxide E33 are specially designed to remove arsenic from drinking water and wastewater. The core of the Bayoxide system is a solid bed of iron oxide beads. They have finely structured surfaces that adsorb pollutants when contaminated water flows over them. The beads are very stable in water and do not break down. They consist of minute particles that can only be seen under a high-resolution electron microscope. Every gram of these particles has a surface area of around 150 square meters, i.e. the floor area of an entire apartment on one gram of material, and it is on this surface that the arsenic is selectively adsorbed. Bayoxide E33 from LANXESS not only helps to treat drinking water. Other fields of application include wastewater treatment, e.g. in mining, or the treatment of contaminated groundwater in the vicinity of abandoned industrial plants.